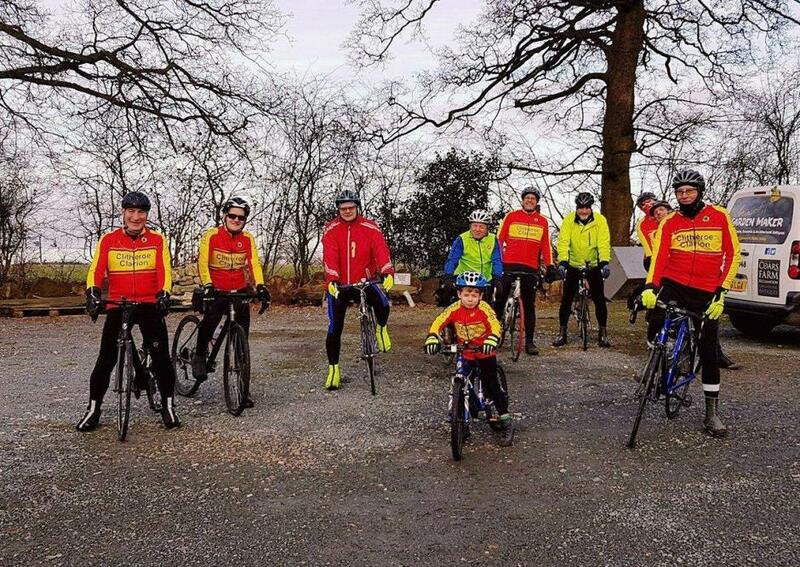 Clitheroe Clarion Cycling Club is a historic cycling club based in the Ribble Valley in Lancashire and a section of the National Clarion Cycling Club. Meet, ride & socialise with like-minded people in the Ribble Valley and the surrounding area. Ability to join us on any of our rides as many times as you wish. Access to buy Clitheroe Clarion Club Jerseys. Cycling Time Trials (CTT) affiliation and ability to race in local TT's under the Clitheroe Clarion name. 15% off Lusso cycling clothing and products. 15% discount Cotswold Outdoors . 15% discount Snow & Rock. We meet every weekend at the Castle Gates at the top of Moor Lane in Clitheroe for our Social ride, this is at 9:30 am on a Sunday every weekend of the month except one weekend of the month where we meet on a Saturday instead (same time). We have a club runs list which can be found on our club website or our Public Facebook group. We update this monthly, but rides may be altered depending on the weather that day. We are a friendly and sociable club who never, under any circumstances, leave a rider behind on any of our rides.